Once every year, around 30-40 Nobel Laureates convene in Lindau to meet the next generation of leading scientists: 600 undergraduates, PhD students, and post-doc researchers from all over the world. 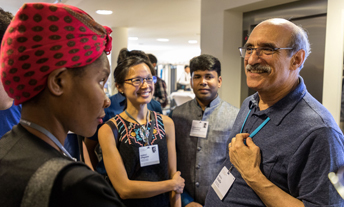 The Lindau Nobel Laureate Meetings foster the exchange among scientists of different generations, cultures, and disciplines. The meetings focus alternately on physiology and medicine, on physics, and on chemistry – the three natural science Nobel Prize disciplines. An interdisciplinary meeting revolving around all three natural sciences is held every five years. In addition, the Lindau Meeting on Economic Sciences is held every three years. The scientific programme of each Lindau Meeting is based on the principle of dialogue. The different sessions – lectures, discussions, Master Classes, and panel discussions – are designed to activate the exchange of knowledge, ideas, and experience between and among Nobel Laureates and young scientists. The lectures held at the Lindau Meetings are not only educative, but highly inspirational, motivating, and memorable. 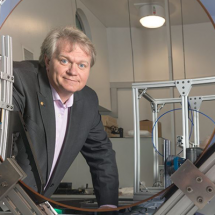 Nobel Laureates take centre stage to address current research findings, to elaborate on their own historical achievements, or to raise awareness of fundamentally important issues. The Agora Talks feature one or two Nobel Laureates and a moderator, discussing a topic of the laureate’s choosing. Participants are given the opportunity to ask questions in an open forum setting. This format is especially suitable for controversial and new topics. At the Lindau Meetings, each lecturer also chairs an open exchange session — accessible exclusively to the young meeting participants. The intimacy, informality, and frankness that mould the atmosphere of these discussions allows for personal questions, controversial reflections and in-depth specialist analyses. The Master Classes are rooted in the principles of mentoring and mutual learning. At each meeting, select participants are given the opportunity to present their current research work to a Nobel Laureate in order to receive feedback and advice. The subsequent discussions, involving the audience, are marked by a high level of professionalism and specialisation. High-profile panel discussions embracing topical and meaningful issues are an integral component of the Lindau Meetings. With Nobel Laureates engaging actively in the debates, these panels provide the floor with a profound survey of the state of affairs in challenging fields of research. Thirty selected young scientists are given the opportunity to present their research in front of Nobel Laureates and the other meeting participants during the Poster Session. In addition, all poster presenters give a two-minute ‘Poster Flash’, in which they explain their research in a concise way. The Lindau Meetings offer a great variety of options for partner events, such as the Science Pitch or Partner Breakfasts. Since 2018, the Lindau Meetings host their own Science Breakfast, stimulating lively debates by all meeting participants at various breakfast tables. Even though the new Inselhalle is modern, bright and inviting, some fresh air may be very stimulating: The Science Walks in the beautiful surroundings of Lindau offer an additional opportunity for informal discussion between a Nobel Laureates and a small group of young scientists. One Nobel Laureate sits together with up to ten young scientists at a local restaurant in Lindau to talk informally over lunch. The ‘Life Lecture’ intends to cover the life experiences of a Nobel Laureate rather than a scientific topic. It is designed to motivate and inspire the young audience and numbers among the emotional highlights of the Lindau Meeting’s lecture programme. Every year the Council and the Foundation publish an annual report which provides an in-depth overview of all activities. 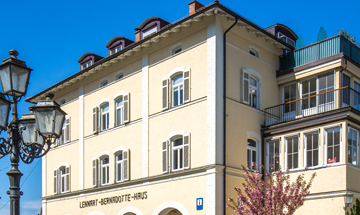 Since their beginnings in 1951, the Lindau Meetings have evolved into a unique international forum for scientific exchange. It was the two Lindau physicians Franz Karl Hein and Gustav Wilhelm Parade who approached Count Lennart Bernadotte af Wisborg of nearby Mainau Island to jointly develop and implement the idea that marked the start of a long and continuing history. 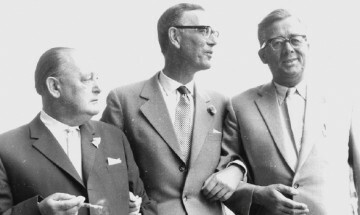 Count Bernadotte – a grandson of King Gustaf V of Sweden – had excellent connections to Stockholm. Especially due to his efforts, seven Nobel Laureates agreed to participate in the first “European Meeting of Nobel Laureates in Medicine” held at Lindau in 1951. This extraordinary meeting was conceived as a European initiative of post-war reconciliation among scientists. The initial success led to the establishment of periodic meetings of Nobel Laureates in Lindau, dedicated alternately to the Nobel Prize disciplines physiology or medicine, physics, and chemistry. Already back in 1953, the decision was made to have undergraduates, PhD students, and post-doc researchers join the dialogue. In 2004, the first of the additional regular Lindau Meetings on Economic Sciences was held. The Lindau Nobel Laureate Meetings are jointly organised by two institutions – the Council and the Foundation. They act in concert to warrant the continuity of the meetings and to advance their constant development. The Council for the Lindau Nobel Laureate Meetings was founded in 1954, three years after the first Lindau Meeting, to secure their existence and shape their future development. Count Lennart Bernadotte, one of the three founders of the meetings, became the first president of the Council. The purpose of the Council is to organise the annual meetings on the basis of an elaborate scientific programme. This includes the establishment and maintenance of close relations with scientific partners worldwide. The Council will ensure that eligible and qualified young scientists get the chance to participate in the Lindau Meetings. In this regard, the Council is also responsible for the acquisition of financial means for organising the meetings – in close collaboration with the Foundation. The Council maintains an executive secretariat in Lindau. The Foundation Lindau Nobel Laureate Meetings was established in the year 2000 upon the initiative of fifty Nobel Laureates. In general, the Foundation’s objective is to promote science, research, and related societal activities. In particular, its main purpose is to ensure the continuance and further development of the Lindau Meetings. This includes the support of outreach projects and initiatives. The members of the most prestigious committee of the Foundation, the Honorary Senate, are valued advisors to the board of directors and distinguished ambassadors for the cause of the Lindau Meetings. The Foundation is registered on Mainau Island. In the interest of a close collaboration with the Council, the office of the Foundation is also based in Lindau. Through their membership in the Founders Assembly, Nobel Laureates demonstrate their strong support of the Lindau Meetings and entrust the Foundation with the consistent further development of Lindau´s intergenerational dialogue. To date, 339 Nobel Laureates constitute the assembly. The most prestigious committee of the Foundation Lindau Nobel Laureate Meetings is the Honorary Senate. Its members function as advisors to the board and distinguished ambassadors for the cause of the Lindau Meetings. Member of the Board of Directors of Mars, Inc. 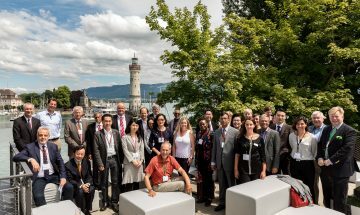 The cooperation with academic partners in about 65 countries is a cornerstone of the on-going internationalisation process of the Lindau Meetings. The network is continuously expanded. By means of memoranda of understanding, both sides commit themselves to connect and promote aspiring young scientists worldwide. 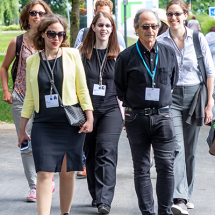 Journalists can apply now for accreditation for #LINO19. 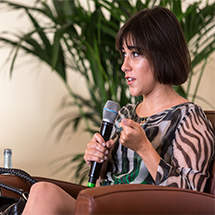 We catch up with #LINO16 Alumna Gabriela.